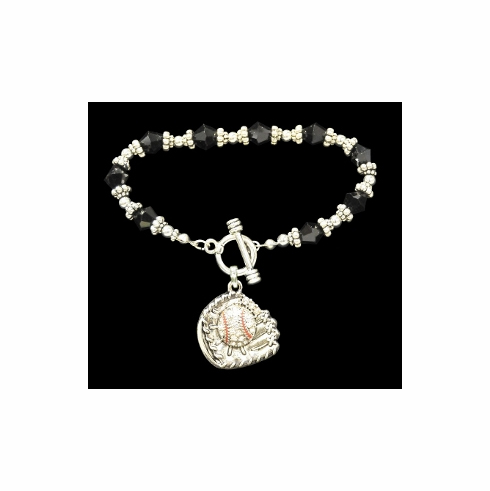 This 7.5" bracelet features a crystal baseball glove charm which measures appx. 7/8" in diameter. Toggle bracelet features silver and black beads.